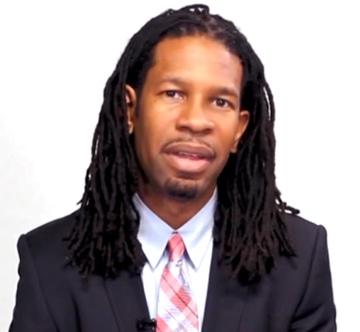 CNN has added ESPN's LZ Granderson to their growing stable of online contributors. Details from CNN follows. CNN Press Release: CNN today announced award-winning writer LZ Granderson as the latest addition to its growing roster of op-ed contributors online. Beginning April 12, Granderson will pen a weekly column for CNN Opinion focusing on how social and cultural issues affect the way life is lived in America today. “We’re delighted to welcome LZ to a team of outstanding contributors who delight, inspire and sometimes rouse readers with their insights into the world we live in,” said Richard Galant, senior producer for CNN Opinion. Regular CNN Opinion contributors include: John Avlon, senior political columnist for The Daily Beast; Democratic strategists and CNN political contributors Paul Begala and Donna Brazile; CNN contributor and Washington fellow of the Claremont Institute William Bennett; CNN national security analyst Peter Bergen; CNN senior political analysts Gloria Borger and David Gergen; former special assistant to President George W. Bush David Frum; best-selling author Bob Greene; CNN contributor and syndicated columnist Roland Martin; syndicated columnist and NPR commentator Ruben Navarrette Jr., and Julian Zelizer, author and professor of history and public affairs at Princeton University. "Now more than ever, CNN is the place people come to dig into diverse viewpoints, ideas and cultural observations," said Meredith Artley, VP and managing editor of CNN Digital. “Online, we're making good on that promise by pushing out pieces every day that foster a dynamic conversation and touch on our interesting times." Under Galant’s direction, CNN Opinion has grown into a premiere source for insight and analysis about the issues impacting society at home and around the world. Launched in October 2009, the section’s traffic has steadily climbed, moving from an average monthly total of 10 million page views in 2010 to an average of 15 million page views per month in 2011 – a 43 percent increase. During March 2011 alone, CNN Opinion generated more than 17 million global page views, accounting for the section’s highest trafficked month ever. Past guest contributors to CNN Opinion also have included former U.S. President Jimmy Carter, Sen. John Kerry; actors Denzel Washington and Mia Farrow; author Jonathan Safran Foer; education historian and author Diane Ravitch; and New York City Mayor Michael Bloomberg. CNN Opinion also features video interviews with celebrities, artists and authors, such as Malcolm Gladwell, Sarah Silverman and David Byrne. Through its partnership with TED, CNN Opinion also features TED Talk Tuesdays, highlighting a selected talk from a TED conference each week. CNN.com also produces additional editorial content to supplement the Talk, including follow-up interviews with TED speakers, commentaries or original reporting around the Talk’s subject to provide users with a wide range of points of view.